Japanese food is incredibly unique, a touch of freshness and perfection to detail. 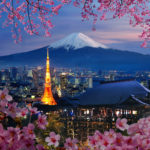 Japanese cuisine (和食, washoku) offers an abundance of gastronomical delights with a boundless variety of regional and seasonal dishes as well as international cuisine. Restaurants range from mobile food stands to centuries-old ryotei, atmospheric drinking places, seasonally erected terraces over rivers, cheap chain shops and unique theme restaurants about ninja and robots. Also, many restaurants in Japan are specialized in a single type of dish, while others offer a variety of dishes. 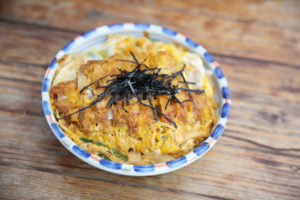 To keep the list from getting too long, we’ve purposely excluded “famous” foods like sushi, ramen, and tempura – but you should still definitely try them in Japan! In 2013, traditional Japanese cuisine (known as washoku) was even recognized by UNESCO as an Intangible Cultural Heritage of Humanity. 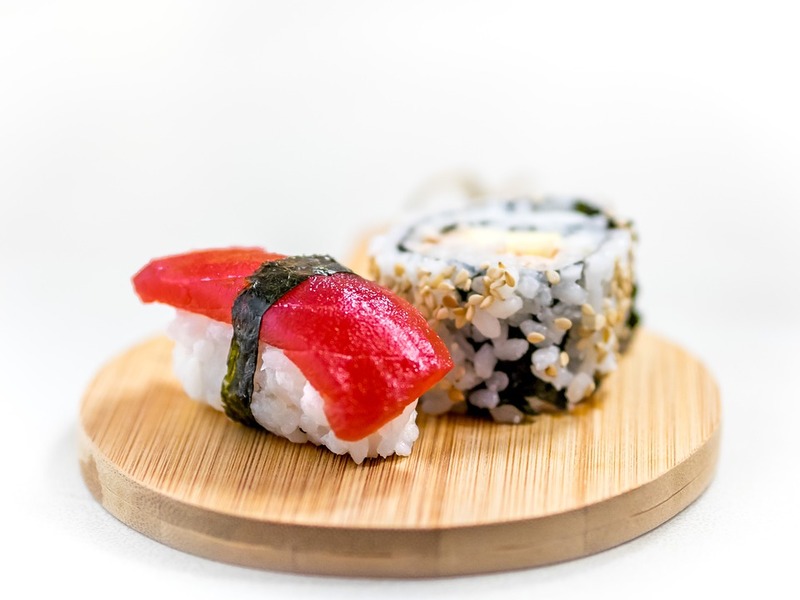 Bonito flakes: Bonito flakes are dried, paper-thin shavings of fish that has been dried, fermented and smoked. They serve as a nutritious base for a fast, delicious and highly economical stock for making soups and sauces. 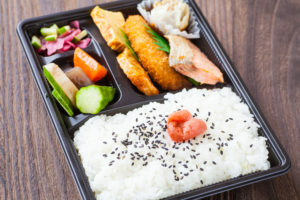 Bento Box: Bento boxes are the fastest growing trend for lunch today. It is a fun way to make meals more nutritious and enjoyable. A traditional Japanese bento holds rice, fish or meat, with pickled or cooked vegetables. 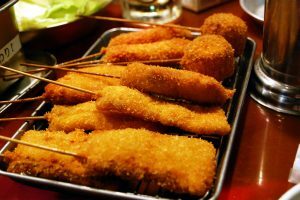 Kushi-katsu: Kushiage, also known as Kushikatsu, is essentially deep fried food on a stick—or more specifically, battered meat and veggies. It can be found all over Japan but is most famous in the Shin-Sekai neighborhood of Osaka. 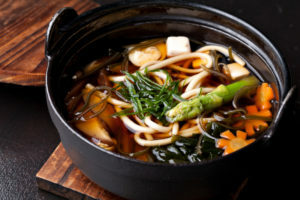 Miso: If you are a fan of Japanese food and cuisine, or even if you have traveled to Japan, it is pretty certain that you have tried miso before. Miso is a traditional Japanese paste made from fermented soybeans, rice and sometimes barley. 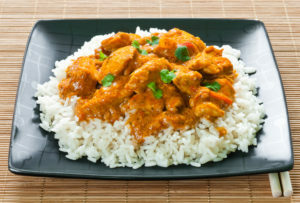 Curry: Delicious Japanese curry is one of the most famous meals in Japan. The main forms are curry over rice, curry over noodles and curry filled pastry. French pastries: You might not expect this, but the quality of French pastries in Japan is outstanding. 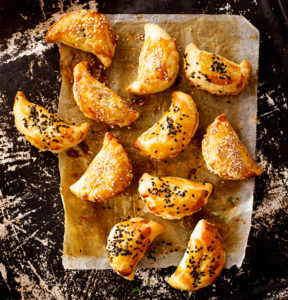 Gyoza: A Japanese take on Chinese-style dumplings (perfect with draft beer). Fruit: Square watermelons aside, it’s seriously worth splurging on some fancy Japanese fruit, and one of the best places to do so is at a depachika. Karaage: Karaage is a Japanese-style fried chicken. To add a wonderful balance to the fried wings, they are best served immediately with wedges of lemon. Rice: It’s worth seeking out top-quality rice, but even “average” Japanese rice is fantastic. 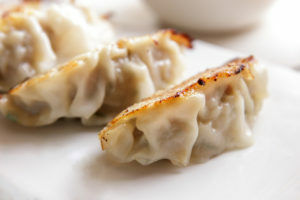 Niku-man: Soft moist white bun wrapped around a delicious pork filling with shiitake mushroom, cabbage, and scallion. One of Japan’s favorite hot fast food. 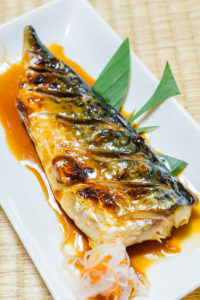 Saba no shioyaki: Salt Grilled Mackerel or Saba Shioyaki is a popular seafood dishes served as an entrée or part of a bento combination in Japanese restaurants. Be sure to try it. 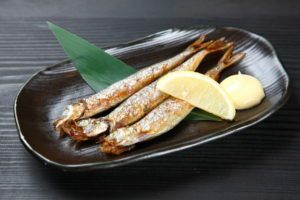 Shishamo: Grilled shishamo (smelt) is a popular Japanese dish where the entire fish, from head to tail, tiny bones and all, can be enjoyed as an appetizer, side dish or entree. 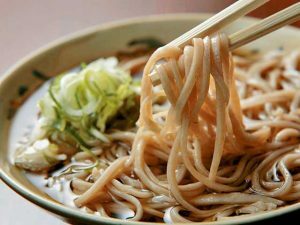 Soba: Made from buckwheat flour, soba is a traditional noodle dish in Japan and is considered to represent Japanese cuisine along with sushi and tempura. 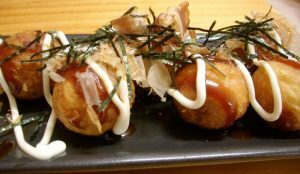 Takoyaki: Japanese snack in the shape of little round balls containing pieces of octopus. Tako-yaki literally translates to “octopus-grilled/fried” and some people may call it “Octopus Balls” or “Octopus Dumplings”. Tofu: Japanese Tofu is a soy product that is used in many Japanese dishes, like Miso Soup and Nabemono (hot pot) dishes. You have not tried anything like Japanese tofu. 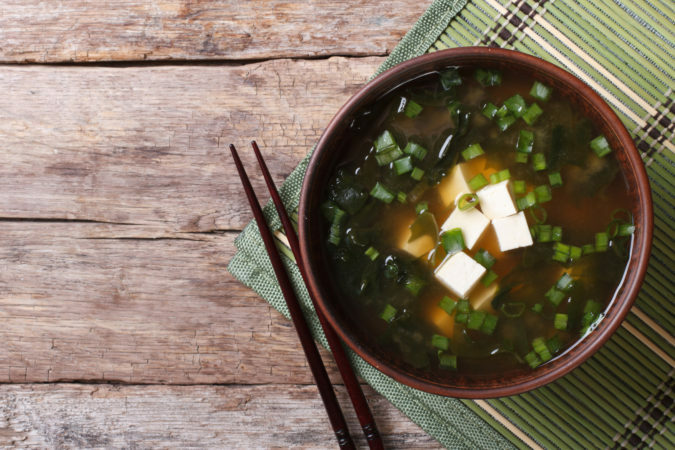 Japanese miso soup with tofu on the table. Tsukemono: Japanese pickles (漬物, tsukemono) are an important part of the Japanese diet. They are served with practically every traditional meal alongside rice and miso soup. Tonkatsu is a Japanese dish which consists of a breaded, deep-fried pork cutlet. There are two main types, fillet, and loin. It is often served with shredded cabbage. Wasabi: Wasabi is a kind of Japanese horseradish which is usually grated and used for various Japanese dishes. It is spicy and well-known everywhere because of sushi. 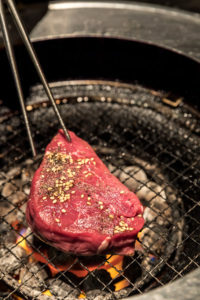 Yakiniku: It is Japanese barbecue which came from Korean barbecue where you grill meat at your table. 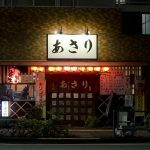 There are a lot of Yakiniku restaurants and it is a unique experience. Yakitori: literally means grilled chicken and also refers to skewered food in general. 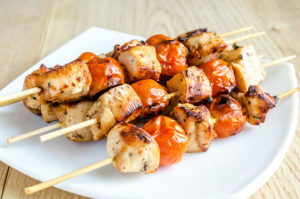 Yakitori is commonly made with bite-sized pieces of chicken meat, chicken offal, or other meats and vegetables skewered on a bamboo stick and grilled over binchōtan charcoal. These will get you started, hopefully!